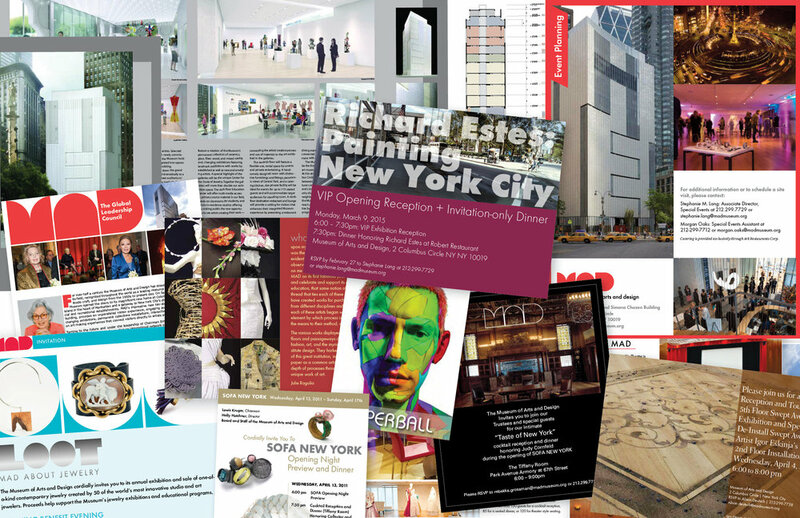 We provide print, web, video and interactive communication solutions for clients across many business sectors, including healthcare, insurance, finance and cultural institutions, creating marketing collateral, capabilities and informational brochures, print and digital publications, annual reports, books, magazines, newsletters, invitations, websites, eblasts, and video. In any medium, we strive to provide clear and effective communications that provoke a response. The Museum of Arts and Design, based in Manhattan, collects, displays, and interprets objects that document contemporary and historic innovation in craft, art, and design. Click here to view projects.